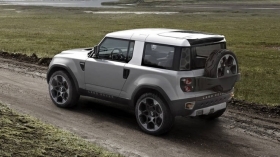 In redesigning the Defender, Land Rover has reportedly decided to steer clear of the DC100, a concept unveiled this decade that was not embraced. 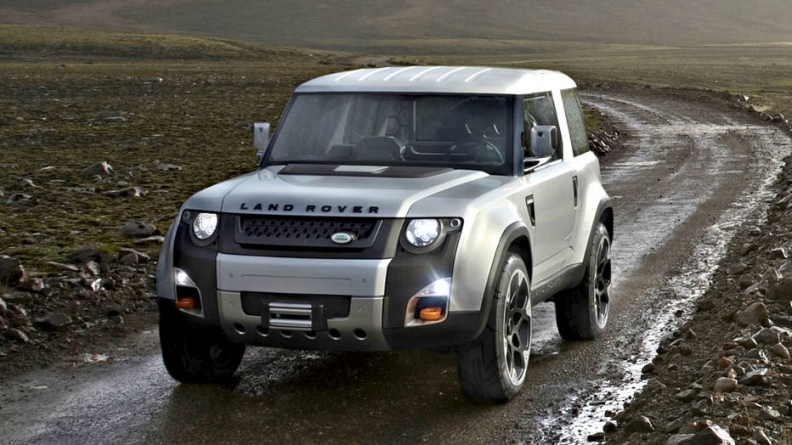 The original Land Rover Defender has been out of production for a couple of years now and Land Rover has been keeping a pretty tight lid on any news regarding its replacement, which is expected to be shown in late 2018 in production form and start rolling off the assembly line as a 2019 model. The company has plenty of reasons to keep the upcoming 4x4 under wraps until the last minute: A Chinese automaker took a little too much inspiration from the Evoque and has started churning out its own version. Land Rover would like to delay that from happening to the Defender, which is why we haven't seen any hint of the upcoming SUV's exterior or seen much in the way of specs. But Autocar has been able to glean a few details about the new model -- or at least as much as Land Rover has been willing to share. The new Defender, code-named L663, will be shown during the company's 70th anniversary. It will be available in two body styles, in keeping with the 90 and 110 main models of the outgoing Defender, and both will be based on Jaguar Land Rover's aluminum architecture dubbed D7U, which underpins the Range Rover and Discovery models. Hard- and soft-top body styles will be offered on both wheelbase choices and will be joined by pickup and other variants appearing later; all will use the Ingenium lineup of engines. When it comes to design, the Defender may not stay close to the DC100 concept unveiled this decade; Land Rover was not enthused by the response the concept received and has decided to go in a different direction. What that direction may look like is still a secret, but clues offered by Land Rover design head Gerry McGovern suggest the Defender likely will not advertise its off-road capabilities through stereotypical off-road features such as rows of spotlights or snorkels. The Defender will still be a premium product and will be "priced as such," according to Autocar. The magazine expects it to have a more understated and refined look, rather than featuring the blocky and overly caricaturish design of the DC100 concept. This means it won't be a retro interpretation of the original design, and it will feature just a few nods to the original. It also won't be agricultural or particularly austere; quite to the contrary, it will be "the most high-tech Land Rover yet," according to Autocar, while keeping impressive ground clearance, as well as departure, approach and breakover angles. All of this sounds like a tall order, but the good news is the new Defender will be sold in America; this is now an imperative as Land Rover will need all the sales it can get when the new model debuts, and the last one topped out at around 20,000 vehicles per year. Autocar says that Land Rover will need to sell around 100,000 a year this time around for the Defender to be worthwhile to build. Thankfully, there is nothing short of a complete SUV craze at the moment, so 100,000 units per year looks far more likely than it did at the beginning of the decade. That said, the competition hasn't been sitting still, and the new Defender will debut a year after the new Jeep Wrangler goes on sale -- not to mention capable and luxurious off-roaders from Team Japan. No, the Defender won't be a Wrangler competitor when it comes to price -- JLR has made it clear that it will be premium-priced -- but it still has to hit a sweet spot to make it an attractive purchase for its traditional audience. Add to that the fact there is now a project afoot to design and build a new version of a spartan and affordable old-style Defender, and the new model will face competition from a doppelganger of its old self to make matters more complicated. Finally, the Land Rover and Range Rover lineup isn't what it was in the heyday of the old Defender, so the new model will also face stiff competition from all the other Land Rover and Range Rover models as well. It's going to be a busy, busy Land Rover world out there.